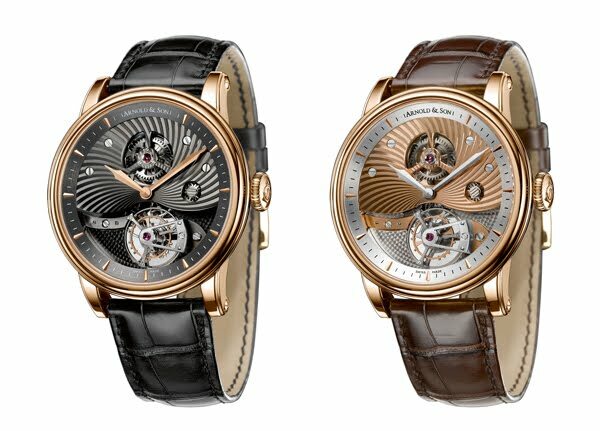 True to English watchmaking heritage, Arnold & Son unveils the TE8 Tourbillon, with the hand-finished A&S8000 calibre. This defining timepiece heralds a new collection – the Royal Collection that combines classic styling with leading-edge technology. The tourbillon movement, one of the most elegant complications in the world of horology, has played a crucial role in Arnold & Son’s history. An exceptional watchmaker, John Arnold was an active participant in one of the most extraordinary partnerships in the world of innovative horology. Indeed, both he and A.-L. Breguet worked closely, sharing both their knowledge and passion. Evidence of their partnership is A.-L. Breguet’s first ever tourbillon mounted in John Arnold’s No. 11 movement, a watch that can be found today in London’s British Museum. Esthetically what sets Arnold & Son’s new Tourbillon TE8 apart is its unique “English” design: the dial is a . wave-form cut-out on the barrel bridge, the tourbillon and motion-work bridges are triangular, and even the three-spoke wheels are shaped with a distinctive flare. This same three-spoke design can also be found in the tourbillon cage as well. The chiseled decoration, reminiscent of waves, is a nod to the nautical world and to history’s great seamen and explorers such as James Cook, who entrusted their lives and that of their men to John Arnold’s timepieces. When compared to more conventional tourbillons found today, the TE8 model is said to be “inverted”, that is to say most technical elements and visually interesting features are shown on the dial side, when those would normally be hidden on the reverse of the dial. Other typically English technical idiosyncrasies will seduce even the most demanding watch connoisseurs. Take, for instance, the symmetrical layout of the movement; to achieve such a feat requires overcoming a number of technical challenges. 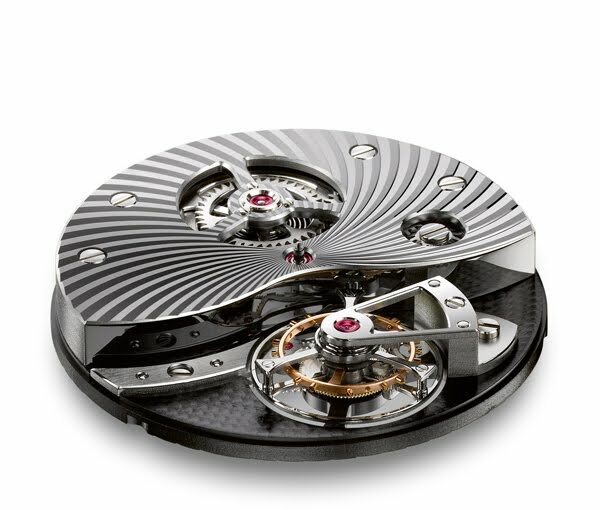 Thus the barrel spring and the tourbillon cage are centered along the watch’s longitudinal axis. When examining the winding system, one notes the traditional construction, which uses wheels with long and narrow spokes known as wolf’s teeth, used to improve the smoothness of the overall movement. It goes without saying that every finishing touch on this striking piece, with such movement decoration as manually chamfered bridges with polished edges has been done by hand by Arnold & Son’s master watchmakers, thus bringing more brilliance and depth to each decorative element. This unique timepiece will be produced in a limited edition of 25 pieces of each version, in a 44 mm 18-carat rose gold case with either a black ruthenium or a rose golden treated movement, individually numbered and engraved.